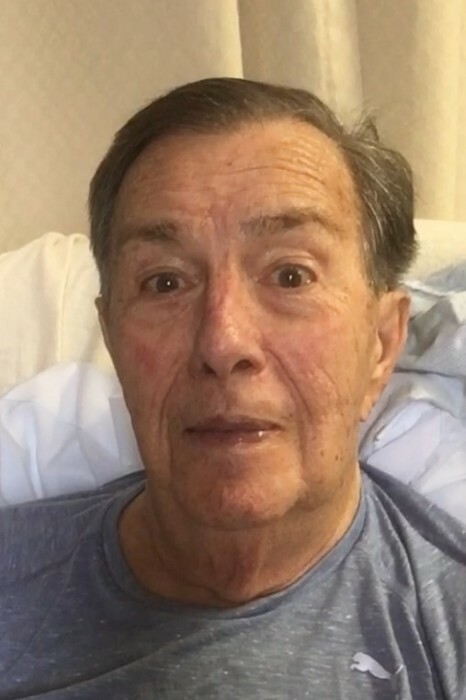 Harold C. Daniels, 76, of Colmar, IL passed away peacefully at 10:27 pm Tuesday April 9, 2019 at his home surrounded by family. He was born on March 25, 1943, the son of Eldon and Evelyn Dixon Akers. He married Debbie VanBrooker on May 17, 1968 at the Plymouth Assembly of God Church. She survives. Harold had been employed with the Illinois Department of Transportation, he also farmed, drove a school bus and was a small business owner. A devout Christian, he previously served on the board of the Plymouth Assembly of God Church, Plymouth School Board and enjoyed raising livestock, going to auctions and auctioneering. He is survived by 4 daughters; Melanie (Lou) Gregoire of Blairsville, GA, Melinda (Nikki Appel) Daniels of Brooklyn, NY, Melissa Lovell (Mike) Love of Tampa, FL and Michelle (Tim) Kerr of Augusta, IL, 13 grandchildren; Courtney (Josh) Hicks, T.C. Robison, Emily Robison, Blaine (Amber) Oliver, Lyle Daniels, Laura Daniels, Mark Lovell, Marissa (Jake) Mennemeier, Christian Lovell, Ali Kerr, Abi Kerr, Ani Kerr and Carson Kerr, 3 great-grandchildren; Avrin and Braeden Laytham, Ryker Hicks and Bentley Oliver, a brother; Howard (Shari) Daniels of Macomb, IL and nieces and nephews. Funeral services will be held at 10:00 am Saturday April 13, 2019 at the Bowen Christian Church in Bowen, IL. with Rev. Tom Spain officiating. Burial will follow at St. Mary’s cemetery near Colmar, IL. There will be no visitation. In lieu of flowers his family request memorial contributions be made to St. Mary’s cemetery.